Twelve years ago, I walked around the corner, my arm tucked in my father’s. 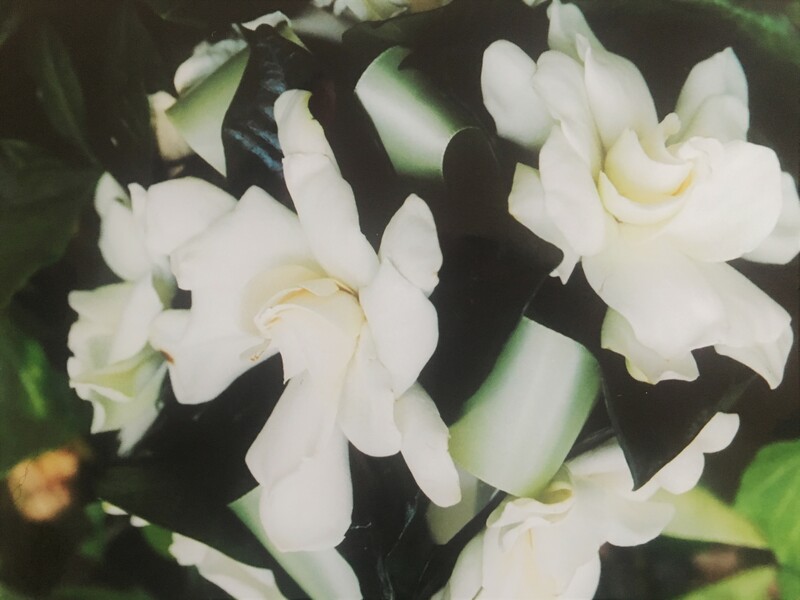 My heart racing as I passed underneath the oak trees, carrying a bouquet of gardenias. I chose them because I love the contrast of their sturdy evergreen leaves and the delicate white blossoms. Their fragrance, one of my favorites, is at once persistent and soft. They are classic and exotic. A few weeks ago, after a particularly trying day, I opened a sample of 2015 St. Urbans-Hof Wiltinger “Alte Reben” Kabinett Feinherb Riesling. One essence stood out to me: gardenia. There were notes of petroleum, herbs, apple, something tropical, perhaps guava, and lemon peel. But the one I kept coming back to was gardenia. From the first sip, I was impressed. Packing a full punch of acidity, it kept me coming back for more. Grown in the Saar valley of the Rhine region, these grapes see some of the coolest temperatures. Grown in iron-rich soil over Devonian slate, these older vines are arch-trained. The minerality is evident and the fruit impactful. Even the next day, the fruit and acidity held firm. At around $18, it is slightly out of the “Monday” range, but some Mondays deserve a little more love. There is plenty in this bottle. Another characteristic of gardenias? They are finicky, turning brown with touch or water and need to be cared for accordingly. My florist cautioned me to be careful when I held them. Perhaps they were, indeed, and appropriate choice for a wedding bouquet. I insisted my husband try it, although we try not to drink much during the week. He was equally impressed. As gardenia is not a note I’ve found before, I asked what flowers he thought of while drinking it and he echoed my thoughts. And while others may or may not be struck by the resemblance to gardenias, my favorite husband agrees. Perhaps the notes are truly there to be found, perhaps a result of twelve years of learning to properly care for one another. Being a stay- at-home mom can leave one thirsting for a taste of the outside world, a world in which sentences are composed of more than three words. Being an educator means one is always seeking an opportunity to explore and learn. Being a woman with a need to connect can be a challenge when adult conversations are rare. In wine, I find the marriage of art and science, agriculture and storytelling provides limitless areas to explore. But it is the people that keep me engaged. The tenacity needed to keep the family dream alive, the risk to start anew, the trials and principles. I love the history of the vine, the impact of a season, the sentiment in the bottle. That is why I write. I write to tell their stories, to share a piece of mine. I write to learn as I teach others. I write to connect with new friends, to disconnect from the world. I write to celebrate what makes each of us unique, and that which ties us together. I’ve had no luck even in a pot but you’ve inspired me to try again. Cheers!